Each year during the fourth quarter I sit down with my wife to negotiate the poker tournament budget for the coming calendar year. The currency of negotiation is not dollars, it is time — especially weekend nights away from home. The process is difficult, emotional, and fraught with peril. But once it is done, as long as I stay within the budget I can pretty well count on staying married for another year. 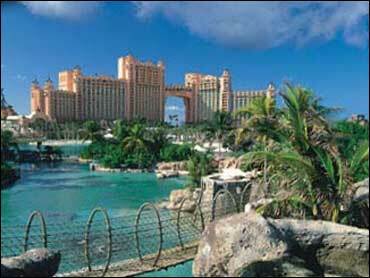 The World Poker Tour event at Atlantis on Paradise Island in the Bahamas (known as the PokerStars Caribbean Adventure) was not in the 2007 poker budget. The only budgeted tournament in January was the WPT event at the Borgata in Atlantic City at the end of the month. But when I went online in late December to firm up my hotel arrangements for the Borgata tournament, I realized I could not play in the Borgata main event — it conflicted with other weekend plans we had made that could not be cancelled. So I negotiated a reallocation within the agreed budget, canceling the Borgata and substituting the Atlantis event. After arriving in the Bahamas, I checked in at the hotel and went to the casino cage to pay my tournament entry fee. The tournament had actually begun for half the starting field, but I arranged to start Saturday with the second half of field. That meant I had the rest of Friday to get acclimated, and to brush the rust off my no-limit Hold 'em tournament game. One of the things that distinguishes the Paradise Island tournament from all the others on the circuit is that it is filled with 18-to-21 year old Internet whiz kids. They are too young to play in casinos on the mainland — but they can play in the Bahamas, where the minimum age is 18. They talk a different language and comprise a subculture within the poker subculture. Surprisingly, none of them were at my table, which was OK with me. They tend to be hyper-aggressive and very difficult to "read." On the second hand of play I was dealt 5-5 in the small blind. One player raised to 175 and five of us saw the flop, which came J-J-7. I checked, the raiser, who had A-A, bet, another player (holding A-J) raised all in, and two players called his raise. Needless to say I folded. And, of course, one of the two remaining 5s in the deck came out on fourth street. Had I made a terrible call on the flop, I would have won a huge pot. Not an auspicious start. When your luck is running the way you'd like, the 5 comes on the flop, not on fourth street after you have folded. I did not win a pot during the first 30-minute round, and when the blinds, doubled my 2,000 starting chips were down to 1,600. Early in the second round, I missed another big opportunity when I flopped middle pair and had to fold to a big bet. Again, the perfect card for my hand came on fourth street, after I had (correctly) folded, and someone else won a big pot that could have been mine. Frustration was starting to set in when I was dealt K-7 of diamonds in early position. I called, as did four other players. With 250 chips in the pot, five of us saw the flop which came 8-4-3, all diamonds. I had flopped a king-high flush. I opened for 150. Another player raised to 450, holding the ace of diamonds and another random card (not a diamond). A third player then re-raised all in, and a fourth player called. I called for all my chips, and prayed that no more diamonds would come. We all turned over our cards at that point, since the betting was complete. One player had flopped a queen-high flush, another had flopped a jack-high flush and the third guy had the ace of diamonds (and was hoping a fourth diamond would be dealt). Happily for me, fourth and fifth street were harmless non-diamonds, and I dragged in a huge pot. Shortly after I won that pot, the second round ended, spelling an end to the re-buy period. Before round three began, each player had the option of buying a single or double "add-on" — for $200 you could buy 1,000 additional chips, or for $400, you could buy 2,000 more. I had 5,150 chips — more than five times the starting amount of 1,000. I struggled with the decision whether to buy any more. I could see reasons to take the double add-on and reasons not to. In the end, as the deadline drew near, I decided to take a single add-on, a middle course between buying 2,000 more chips and buying none. With 6,150 chips I was one of the two largest stacks at my table when play resumed. Over the course of the next few hours I built my stack to about 15,000 chips. Then I picked up my first premium pair of the trip: Q-Q in late position. Another player opened the pot for 2,400 and I re-raised him all in. He called and turned over K-K.
No queen came to my rescue, and I was eliminated with about 50 players left. Disappointing, but unavoidable. I was happy with the way I had played and felt ready for the main event on Saturday. More than 930 people competed in the main event, creating a prize pool of more than $7 million to be shared among the top 180 finishers. A number of top players were on hand to participate including Daniel Negreanu, Barry Greenstein, Scotty Nguyen, JC Tran, Barry Schulman, Tom McEvoy, and actress (and serious tournament poker player) Mimi Rogers. The structure of the tournament was outstanding. Players began with a lot of chips (20,000) and the blinds went up every 75 minutes instead of every 15 minutes during the supersatellite the night before. Deeper stacks and longer rounds enhance the significance of skill and reduce the element of short-term luck, though, of course, both are still required in order to do well. I was dealt Q-Q twice in a row during the first 10 minutes of the tournament. As if to make up for what happened the night before when my Q-Q ran into K-K, I won both hands. I also won with A-K twice, A-Q once, K-K and Q-Q (again), and by the time the blinds went up at the end of the first level I had increased my chip count from 20,000 to 34,000. Things continued to go well until I lost a big pot when I held 7-7 and flopped a third 7. There were also two clubs on the board, so I made a pot-sized bet in order to discourage other players from drawing at a flush. One player called with a straight draw. Unfortunately, he made his straight to beat me. I took another loss during level 4 when I invested too many chips in the A-J of spades. Two spades came on the flop but I missed the flush and lost a sizeable pot to a player holding A-Q. By the beginning of level 5 I was down to 23,350. But I made an excellent comeback, including a well-timed bluff, and finished level 5 at 45,100, my high point thus far. Halfway through level 6 I picked up A-A for only the second time. I raised and one player called. The flop came K-7-2 with two clubs. My opponent bet and I raised enough to put him all in. He called and turned over 7-7. It looked bad for me until the dealer brought a club on fourth street and another club on the river. Since I had the ace of clubs I won with an ace-high flush. He had been lucky to catch one of his only two winning cards on the flop, but I got lucky in return and busted him. Play ended around 10 p.m. after the 6th level. I finished the day with 67,500 chips — roughly 66th out of the 450 players who survived Friday and Saturday's play. On Sunday we were all assigned to new tables and seats. I was the chip leader at my table. I treaded water for most of the first hour, winning a few small pots and losing a few. Then I picked up A-Q in the big blind. A very aggressive young Internet player with a buzz cut and red hair opened the pot with a raise of 300. Two other players called. It felt like a perfect opportunity for a "squeeze" play. I made a big re-raise, and everyone folded. I was feeling good until a player two seats to the left of me went broke and his seat was filled by Michael Mizrachi, winner of last year's Player of the Year award (based on total tournament winnings). Mizrachi is one of the hot young stars of tournament poker. He is smart, experienced and unrelentingly aggressive. Not the sort of player you want on your left. He only had a third as many chips as me, but he is the kind of player who can quickly pile up a ton of chips. I vowed to stay out of his way unless I had a big hand. Of course it wouldn't take him long to figure that out and to exploit the situation. At one point it looked like we would be rid of Mizrachi when he called an all-in bet on a board of J-10-2. Mizrachi turned over A-J but his opponent had 10-10. Miraculously Mizrachi made a straight when a K came on fourth street and a Q on the river, and suddenly instead of being eliminated he had a mound of chips. I won a decent sized pot with A-A, but after paying the sizeable blinds and antes (which cost 3,800 each time around the table) and losing a few small pots, I was down to 53,500 at the end of level 8. Meanwhile, Mizrachi had narrowly avoided elimination again when he moved in with a straight draw. He hit his straight on the river, building his stack to about 45,000. As we headed into level 9, about 290 players remained. My stack continued to shrink slowly, as I paid the blinds and antes (which now cost 4,400 each time around the table). Most pots were raised and re-raised, and I could not pick up a hand worth playing. Then I thought I saw an opportunity to pick up a pot with an aggressive re-raise. I was dealt A-9 in the small blind. Mizrachi opened the pot in first position with a raise to 5,000. Everyone folded to me. I thought that if I re-raised he would give me credit for a big hand and would fold unless he had A-A or K-K. I re-raised to 15,000. He thought briefly and moved all in. I had to fold. On the next hand I picked up 8-7 on the button (last position). The player with the red buzz cut opened the pot with a raise to 5,000 and the player on my right called the raise. It looked like a good squeeze play opportunity, and I re-raised all in for another 23,000. Buzz cut folded, but the player on my right called with 10-10. I picked up a good flop (J-9-6), but could not complete the straight and I was eliminated with about 250 players left. On Monday I played in the media event and finished seventh out of 30. I also played in a consolation event but never could get anything going and was eliminated fairly early. The experience made me even more annoyed with my play in the main event. Most of the time you don't pick up enough good hands and good situations to make it deep into a large event. When you do, you have to take advantage of the opportunity — and not waste it by losing discipline or patience when you hit a cold patch of cards or suffer a bad beat. I was eager for another chance, and decided to take one more shot in the $1,500 consolation event on Tuesday. In all, 240 players competed in Tuesday's event, creating a $360,000 prize pool. Each player began with 4,000 chips and the blinds went up every half hour. In contrast to the main event, where we began with five times as many chips and the rounds lasted 75 minutes, you cannot afford to wait for strong hands and optimal situations when the starting stacks are smaller and the rounds are short. I did not pick up any strong hands during the first hour, but I chopped away at the blinds and managed to tread water. Early in round 3, I picked up J-J in the small blind. A very experienced Foxwoods player named Spiro limped in from late position with K-Q. I raised and he re-raised all in. I called. The flop came with three small cards, and I was a big favorite to eliminate a tough opponent and build my stack. Then the Q of diamonds came on fourth street and Spiro took the lead. When the A of diamonds fell on the river I thought I had lost the pot, but the dealer pointed out that there were four diamonds on the board. Spiro had no diamonds in his hand, so my J of diamonds gave me the winning flush. I busted Spiro and added his chips to my growing stack. I did the same to another player who flopped top pair with J-6 on a board of J-5-2. I had J-9, which held up. I busted another player when my J-10 of diamonds outflopped his A-K of diamonds. I finished the round with 16,800 chips, and a vow not to waste another good start by getting careless or impatient in the hours ahead. After 10 more hours of pots won and lost, we got down to the final table. I was in third place among the 10 remaining players. The action was fast and furious, as short-stacked players tried desperately to stay alive long enough to finish in the top five (where 70 percent of the prize money is allocated), but the escalating blinds and antes forced them to play. When we got down to the final five, I was the chip leader with 300,000. One of the short stacks was eliminated and we were down to four. Unfortunately I could not pick up a playable hand, and the blinds and antes ground away at my stack. Eventually the only player with fewer chips than me moved all in and I called with 4-4. He turned over 7-7 and won, leaving me with only 50,000. I moved in with A-3 and was called by the biggest stack, holding Q-6. He caught a 6 on the flop and I was eliminated in 4th place which paid $24,250. I felt vindicated, and exhausted. I had played well and had gotten lucky at several critical times. That is what it takes to make a final table in a tournament. Of course I would have preferred to have done it in the main event, where the final table finishers won six-figure amounts, but a win is a win. I went to bed tired and happy.